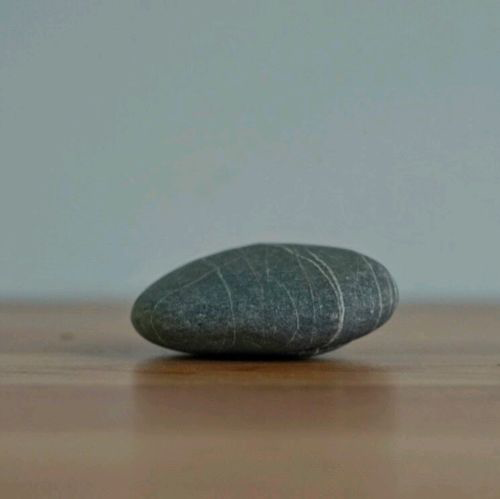 I stole this rock from the shore of the Irish Sea in Aberystwyth, Wales. I actually collected so many stones that my return luggage was 20 lbs overweight. But they are just so beautiful and from so far far awa, that I had to bring them home to my girls. This semester I am teaching a section of Time Studio in the Art Foundation’s program at VCUarts. The first unit has a food & Art theme and for our 1st critique we made Stone Soup with this welsh rock. Stone Soup is a kind of potlatch where the pot is filled with water & a stone & everyone adds an ingredient. We made a most excellent vegetable soup w/ mushrooms, onions, spinach, rice, carrots & scallions. We made so much that we fed the faculty in the office and I brought it home and served it for dinner. If you buy this soup stone you also get to say my favorite line from “The Great Pumpkin” Peanuts special.